NOTE: THE IMAGE SHOWS THE ACTUAL AUDI A3 2.0 TDi DE-CAT. The De-cat allows the turbo to 'spool up' quicker, and ensures the engine feels ultra responsive and more willing to zip through the rev-range. I t’s in great used condition. I t w a s removed from a 2 0 0 7 Audi A 4 B 7 2. 0 t f s i.
Audi A3 1.9TDi 1.9 TDi (96-03) De Cat Bypass Pipe - Exhaust Decat. Condition is New. 2014 Audi S3 Full non resonated miltek exhaust system including de-cat from turbo to tail pipes. No sensors or rubbers included. This is the system with valve at the rear, your original valve un bolt and bolt straight in. Cat removal downpipe to fit the Audi A4, A5 and Q5 with the 2.0 Turbo petrol engine. 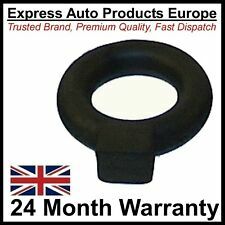 Replaces Audi part number 8K0131701BM 8K0178LA. With over 15 years’ experience in the automotive and car parts industries, we’ve developed a range of exhaust, chassis, cooling and racing components that promise to fulfil the very limits of your vehicle’s capabilities. 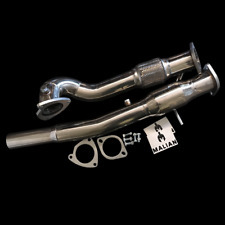 New listingAudi S4 Milltek X Pipe... 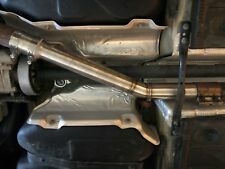 Exhaust upgrade cross pipe. Audi S4 Milltek X Pipe... Part number MSAU594 Exhaust upgrade cross pipe. I bought this for my S5 3.0T but it doesn't fit so had a custom made exhaust put on. If you go onto Milltek and enter the number it say the part is for the S4 3.0T. May fit other S4 but please do check before buying. Please any questions just ask. Audi A3 8PA. 5 Door Sportback. 2.0 TDi Diesel 140BHP. Audi A3 8P1. Audi B9 S4 Custom Exhaust . Condition is Used. Fully custom exhaust, centre resonator delete with x-pipe, both back boxes removed with RS4 tips. Sounds amazing, selling car so selling all the parts off it. Audi S3 8v Res Delete fitted for only 1 week still new collection only or local meet. AUDI TT 1.8T STAINLESS STEEL EXHAUST DECAT DOWNPIPE. 3" x 2.25" Decat Pipe. 3" Downpipe. 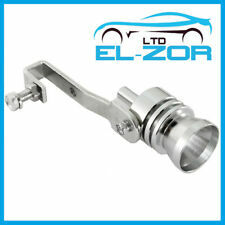 Made of High Quality grade stainless steel. WILL NOT FIT 225BHP MODELS. Excludes scottish highlands, ireland & northern ireland. Audi TT (8N) : 1.8T Quattro with 165/176 kW. 3" Downpipe / decat mit Lamdasonde preparation. 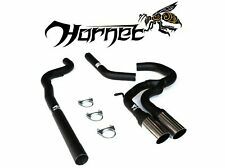 Stainless steel exhaust downpipe with a 200 cell sports cat for the Audi TT 1.8 turbo or the S3 225 made between 1999 and 2006. With over 15 years’ experience in the automotive and car parts industries, we’ve developed a range of exhaust, chassis, cooling and racing components that promise to fulfil the very limits of your vehicle’s capabilities. AUDI RS3 8V downpipe and secondary cat removed from a low mileage car. 1997-2002 Audi A4 S4 B5 2.7L. Isle of Wight. Stainless Steel Exhaust System from Catalyst back. 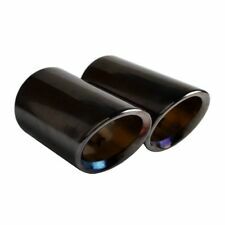 70mm twin tail pipe. This exhaust system is mirror polished. CNC machined flanges for strong, solid support and an accurate fit. This is an £850 top of the range Milltek sport RACE system - DO NOT CONFUSE FOR THE STANDARD CAT BACK SYSTEM!! Low start price at similar price to the BOG STANDARD Milltek for these!! As the title sponsor/supplier of theMilltek Sport Volkswagen Racing Cup and technical partner to theBTCC, the Derbyshire firm has extensive experience in getting the very best from all VW Group platforms. Milltek Sport LH Cerakote Black Oval Tip. Milltek Sport RH Cerakote Black Oval Tip. By fitting Milltek exhaust components you can rest assured that these are very high quality, high-performance parts that will in most cases outlive the car. Replacing a complete Exhaust just because a Flexi is faulty can be costly. Stainless Steel Flexi Pipe for Audi A4 1.8T (94-01), Audi A6 1.8T (97-01), VW Passat 1.8T (96-05), and VW Passat 2.0i (00-05). 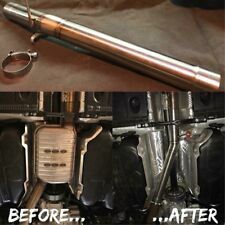 This sleeve/clamp will allow you to refit your original resonator back into the system by connecting it at the rear cut which would have been carried out to fit in a Resonator Delete Pipe. 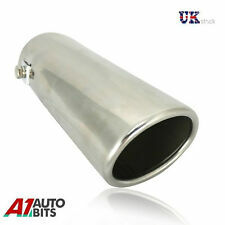 Used Milltek Audi RS6 4F exhaust. Can order centre sections from milltek direct or fabricater can mate up to existing system.